Dhaka Kolkata bus route is a distance of 333.8 km or more. Currently, 4 leading bus operators offer their services on this route. The operators of the Dhaka to Kolkata bus service are Green Line Paribahan, Royal Coach, Shohagh Paribahan and Saudia Air Con. These operators offer luxurious bus services to Hino AK1J Non-AC, Scania AC, Hino RM2 AC, ISUZU AC/ Non-AC branded buses. The journey needs an average duration of 11 to 12 hours that depends on the condition of the roads, ticket prices for the ranges of this route. Shaymoli Paribahan is another bus operator of Dhaka to Kolkata route. They offer comfortable VOLVO and RM2 brand’s buses. 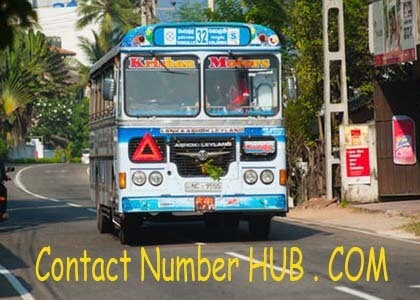 They also offer online ticketing for bus ticket in this route. This operator starts first ever bus service in 1999. ⌚ Daily 11:00 AM starts a bus from Dhaka to Kolkata. Friday is a day off. ⌚ Available seats are total 40 and a fare for each seat is BDT 1400. ⌚ You need the passport number to book a seat or seats. ⌚ You must reserve a seat before 3 days. THE largest and the capital city of Bangladesh, Dhaka, contains up to 180 million people. It holds most of the local and international companies’ headquarters in Dhaka. Dhaka is the hub of all commerce and trade of the country. It’s an ancient city of the Mughal emperor. There are many tourist attractions in Dhaka city. Some of them are the National Museum, Child Park, National Zoo, Botanical Garden, Ahsan Manjil, National Parliament Complex, Lalbagh Fort, Star Mosque, Old Dhaka and Sadarghat River Port. Kolkata is the second largest Indian city and the key commercial hub of the North East and East India. The city contains so many famous places, including Nandan, Inox Multiplexes, Tantra, Sourov’s Pavilion, Barista Coffee Shops, Science City and many more. The state earns most of its revenue from the tourism sector. There are many renowned shopping malls, like Quest Mall, Sudder Street, Boro Bazar, New Market etc. Moreover, Kolkata’s street foods are famous worldwide.